The 2015 E2 Educator Exchange – part of the MIEE program – inspired me by giving me the opportunity to reflect on what it means to be innovative, courageous, and to demonstrate leadership, in education. Even more important, E2 challenged me to ask myself how I was going to change my teaching practice to become an effective educator who advocates change and inspires others with thought-provoking ideas. My experience working in the business world taught me the importance of thinking independently and solving problems using available resources. Preparing students to meet these same challenges requires teaching strong information literacy skills that will give them the ability to fight economic poverty, improve quality of life and increase opportunities. My response to this challenge was the creation of Project Ingenuity. I decided to implement this project in my grade 11 information technology course, as part of a long-range unit plan where concepts learned could be applied to complete a culminating activity. The unit began by focusing on how technology trends have shifted in our information-based economy, an economy where globalization has created both opportunities and challenges. My students were able to discuss some of the reasons this is occurring and how mobile, cloud-based computing is changing how we communicate and collaborate in the workplace. 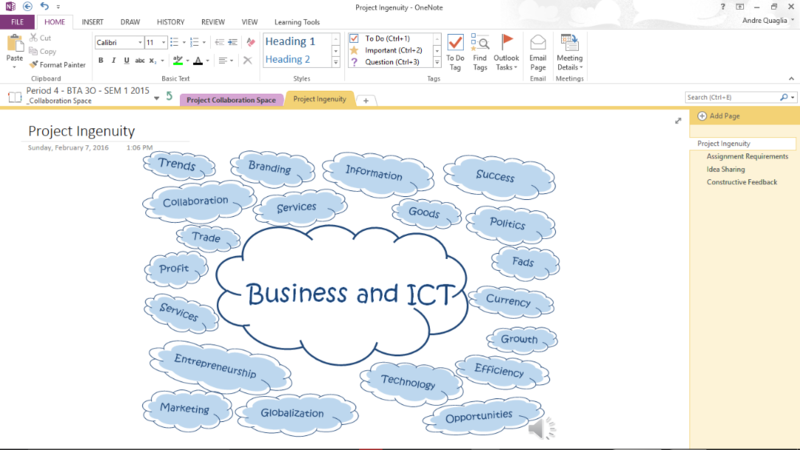 OneNote allowed for real-time communication so students could brainstorm keywords which were then used to create a concept map. The goal was for learners to gain a thorough understanding of the word “ingenuity” by using personalized examples. Students used Bing to locate examples of ingenuity in the business world, and in innovative products. Social media examples were also encouraged. Students were then required to create a visual representation of what ingenuity looked like in the form of a picture. 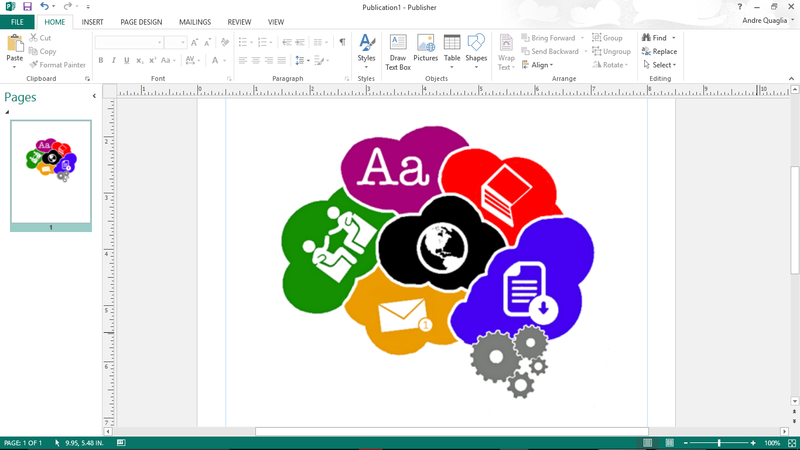 Publisher was used to create the image, with a written summary completed in Word to explain how the concept of ingenuity was graphically communicated. Students also provided constructive feedback of the image and summary of their classmates using OneNote collaboration tools. 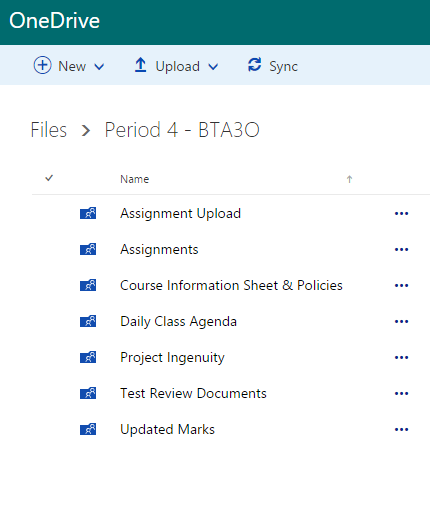 OneDrive was required to submit the completed work for evaluation. 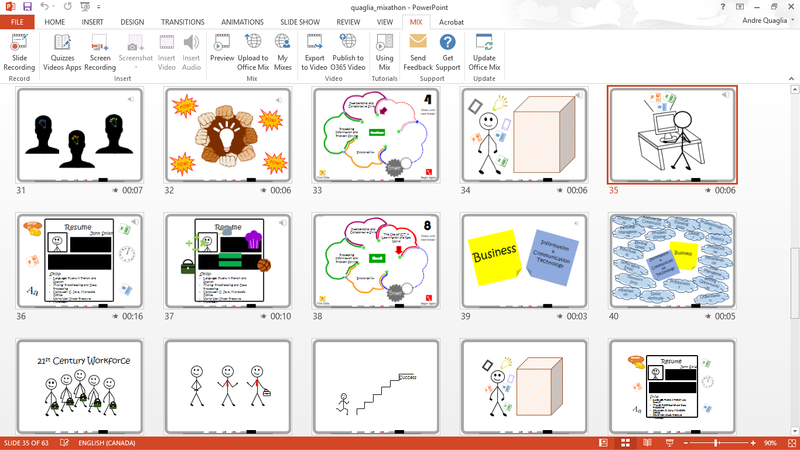 Students created an interactive PowerPoint presentation as a final, culminating activity. They used text, video, sound, animation and action buttons. The integrated Office Mix toolbar enabled learners to slide record and create an interactive quiz to test the knowledge of participants. Project Ingenuity was an opportunity for my students to creatively express their understanding of how ingenuity can be used to succeed in the 21st century workplace. Aside from teaching others, my long-term goal is to become a strong advocate for the importance of deepening knowledge using technology. One group of students even submitted their project as part of the Microsoft Mix-a-thon contest, which focused on how Business and ICT skills can be used to prepare for the 21st century workforce. This was an excellent opportunity for students to demonstrate they had a thorough understanding of the concepts learned. While Project Ingenuity was an excellent learning tool for my students, I came away with some important knowledge, too. My conclusion? No longer should traditional productivity be the ultimate goal. We should be thinking beyond digital literacy and using ICT for a higher purpose. 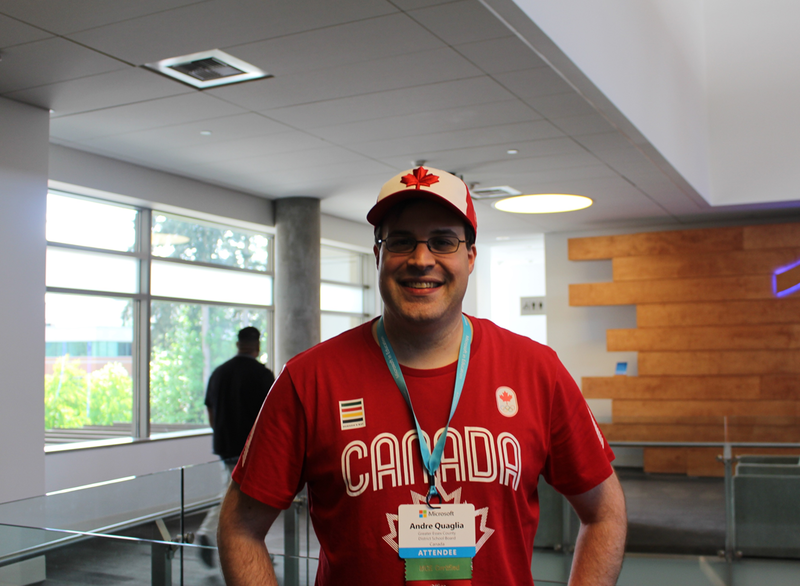 This entry was posted in Information, People and tagged andre quaglia, Canada, Guest Blog. Bookmark the permalink. Real World Learning – thank you Andre for sharing a fantastic unit. You are a great MiEE! 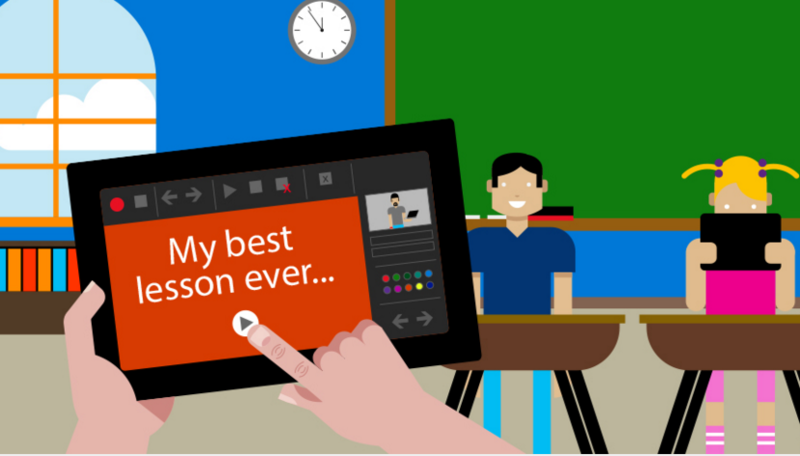 Great blog, Andre; I am inspired by your words, “How can I change my teaching practice to become an effective educator who advocates change and inspires others with thought-provoking ideas?” I am further inspired by the discussions you are having with your students wrt how mobile, cloud based computing is changing how we communicate, collaborate and learn!